The beauty of Galahad is in the colour – although this is bright, it manages to be subtle and elegant, rather than neon. 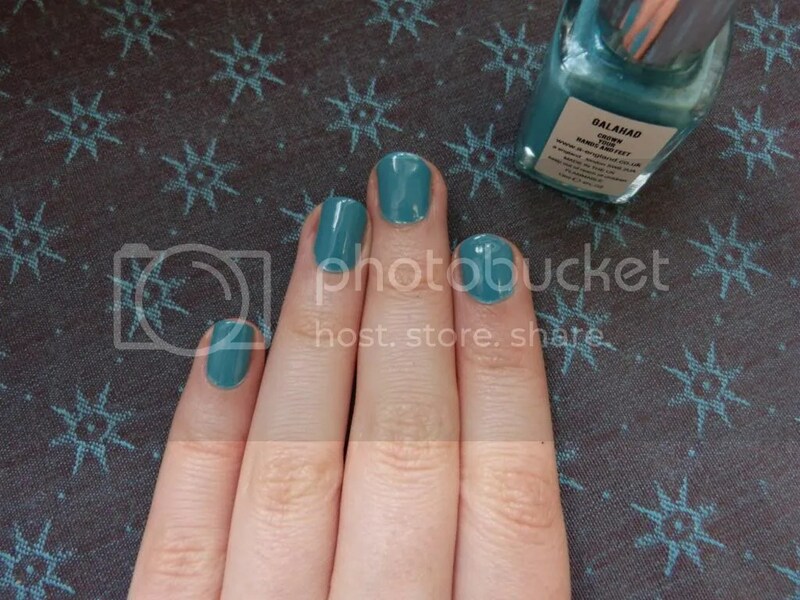 As with all A England polishes, different tones appear in different light. Galahad swings from dusty turquoise to muted aqua, sometimes leaning green, sometimes leaning blue. It is so clear and gorgeous – it feels like pure colour. It’s simple, but amazing. The formula is perfect – this is a one-coat creme, with perfect self-levelling, and it dries in a matter of seconds. 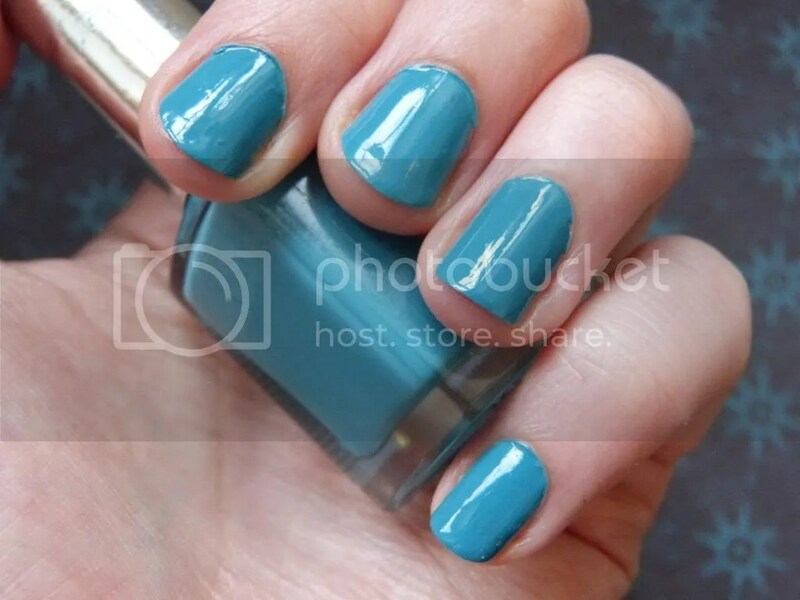 It’s the polish I default to when I only have a short time to paint my nails, because, well, look at that gloss. It looks like you’ve taken ages with it. I haven’t applied a topcoat over this, it really is that shiny! What do you think of Galahad? 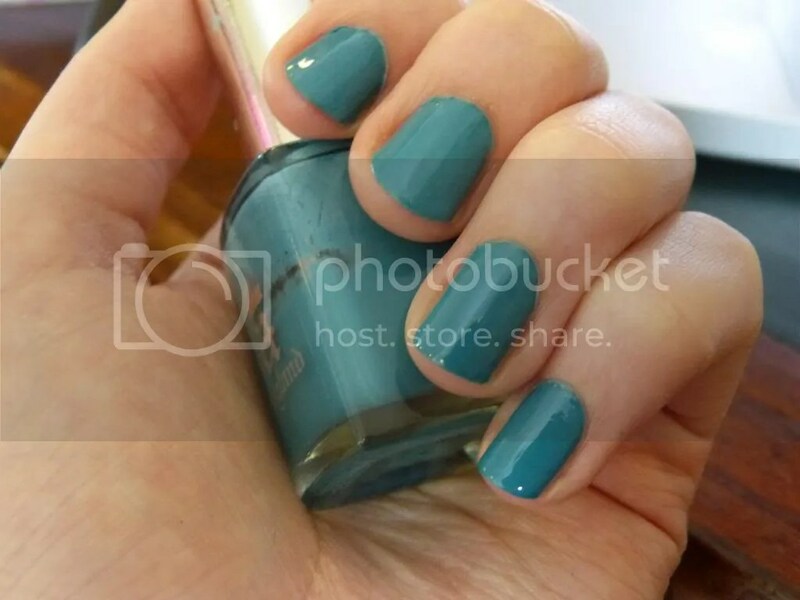 I don’t think I’ll ever stop loving this polish! 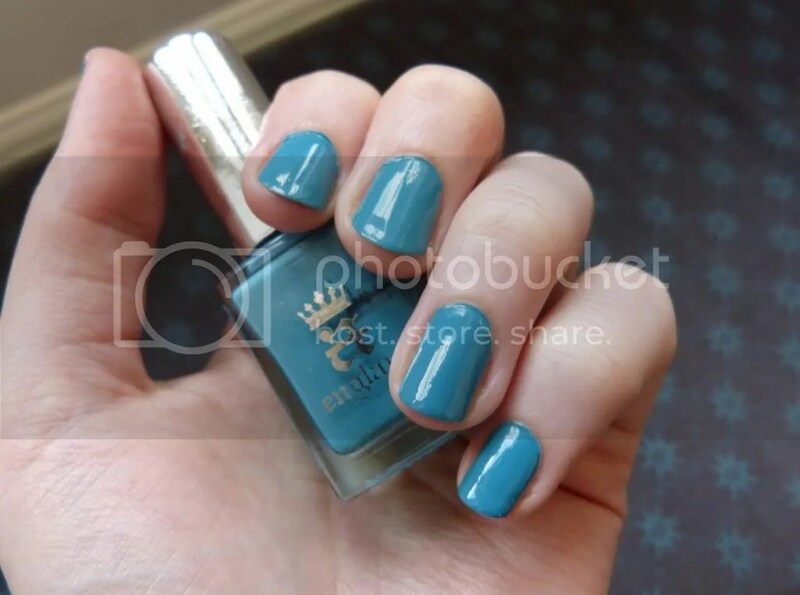 This entry was posted in Nail Polish and tagged a england, a england galahad, a england nail polish, a england polishes, a england swatches, arthurian myth, favourite nail polish, galahad, galahad nail polish, holy grail nail polish, teal nail polish. Bookmark the permalink.